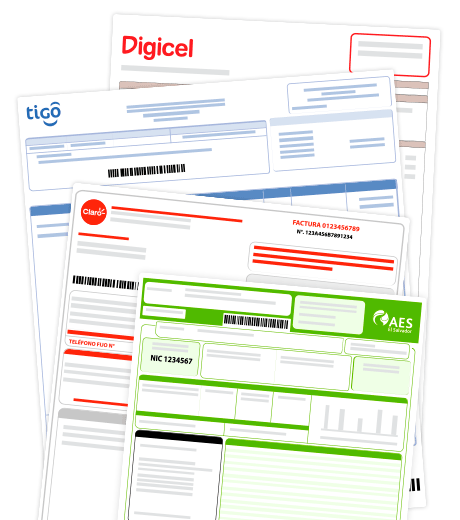 Pay electricity bills, telephone, cable and internet. Ensure the destination of you money with Paga-Todo.com paying bills online for your family or friends in El Salvador from anywhere in the world. Pay your bills online or your family and friends bill’s in El Salvador. You can pay for electricity, telephone, cable and Internet, try it now! The safe, fast and easy way to pay online to El Salvador. Make direct payments to El Salvador, you only need to enter the phone number or invoice number, depending on the type of service you want to pay, then verify the amount and invoice information and finish the payment with your Visa or MasterCard.